What’s in the stars for the year ahead? Run as fast as you can to the place where your body hums; don’t trust anything but your own antennae. There’s a type of influence happening now, with your radiance attracting the higher vibes. But as always, there are hijackers to your energy. For maximum velocity, you need to cooperate only with those who have your best interests at heart. There’s a bit of fallout for those who hesitate or let fear and doubt lead the way. The Sun in your sign sings “Happy Birthday!” as you start a week of thrills and destiny. You’re beautiful. You can’t help it—your ruling planet sees to it. Nestled into your sign as she is, Venus brings comfort. A lovely someone may cross your path. Your house of partnership is clear—not meaning empty and solitary; in fact, exactly the opposite. Potential partners are seeing something in you that you haven’t seen in yourself. You may as well ride this current, whether you’re in the air, on the water, or simply making your way across land. Your dreams bring you valuable information. Spread your wings and do your own thing. 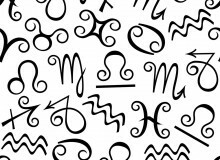 Geminis are more independent than ever, with or without a partner. Venus is in your solar twelfth house, so she’s whispering your next step in the boudoir. You may not be ready to come forward with a final choice just yet. Mars moves over the line on Wednesday; things you haven’t seen may be discussed or pointed out by others. Expect changes that satisfy in every way. Shocks come from every direction, yet still you persevere. Your sweet Moonchild reflection becomes evident Friday and Saturday, as you take emotional hits and turn them into personal strengths. Your nurturing, caring nature becomes evident and is a beacon for others. You can’t help being a role model just by being yourself. The Sun, South Node, Uranus, and Mars are lined up to thrust you into the spotlight. It’s not what you may want, but it’s necessary. You are spectacularly blessed. 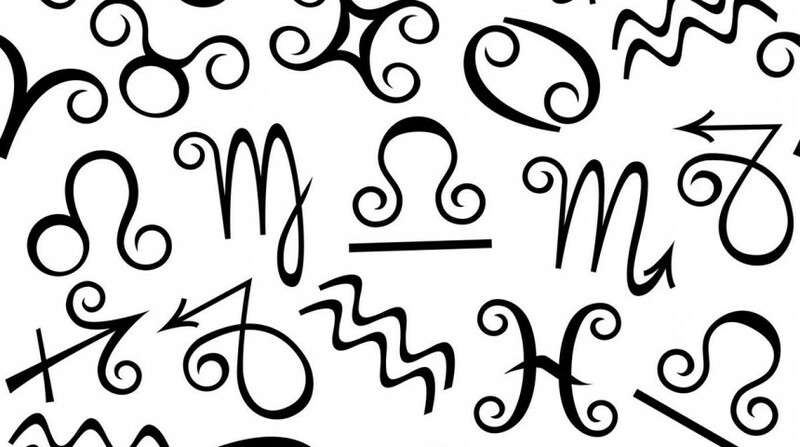 The Sun, South Node, Uranus, and Mars are in a trine aspect to your sign—beneficial! There are surprises, a change in direction, and forward movement. It’s because someone in your life has a strong spiritual background, or knows the law—or both. Juno in Leo is direct and brings a commitment from a powerful feminine figure. Behind-the-scenes dealings may take place to reveal unexpected outcomes. Partnership, romance, love, illusion—all of these are features of Neptune, Chiron, and Mercury in your sector of important relationships. Right now, you can reach for the clouds and feel them as they drift through your fingers. The ups and downs of sharing your resources are currently intense. Destiny and karma is being resolved. As long as you stay true to yourself, you’ll be held by the love that also supports your bank balance. Spikes in your love life continue to highlight your path. Some people may live in a world of oatmeal beige, but it’s not likely to be you. The Sun, South Node, Uranus, and Mars invigorate your marriage and business focus, one of the most important parts of your chart. If you’re single, you may have attention from more than one potential partner, and they’re serious. You’re magnetically attractive just being yourself—you have a beautiful spirit and will find freedom soon. Remember there are still rainbows in grey skies. 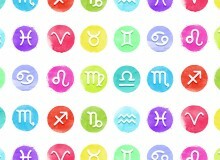 There are few less invigorated by April Fool’s Day than yourself; you’re a Scorpio and life is serious. There’s no extra time for pranks midweek—or is there? Work is definitely full of hijinks. Currently, there are “just add water; presto, change-o!” instant complete turnabouts, which means what you expected at the beginning of the week may not be what happens by the end. Venus opposite your sign reminds you to enjoy time with a partner. They are likely to have an energy that’s easy on the eyes and the heart. Yours is the sign of the archer; you shoot your arrows to the stars. This is also known as idealism. You’re the one who holds on to inspiration and lets go of cynicism. If there’s something you believe in, you’ll be healthier with more energy if you follow it. It doesn’t have to make sense to everyone, and in fact, it probably won’t. The Sun, South Node, Uranus, and Mars are making a beautiful trine aspect to Sagittarius. A lucky break is yours for the asking. While you might wish to stay on a path that’s already set, it’s likely you’re about to begin a new one. Unfamiliar and thus not as comfortable, it’s also not as stagnant. After all, Capricorns are allowed to have a little excitement and live a life without boredom! The complications that have been dogging you are going to iron out; you’ll feel it as Friday and Saturday stream through the depths of your subconscious. Empowerment follows you through the weekend and into your work. Crossroads are incredibly important and you seem to be in them fairly regularly. Juno and Jupiter are in Leo, opposite your sign; Juno is moving forward, while Jupiter is still retrograde. If you can follow a straight path, metaphorically speaking, you’re likely to be rewarded—and soon. The opposite is true as well. Communications are sparked with constant change and the only successful direction is the one that adds integrity to the greater whole. As the week progresses, conversations take on a life of their own; they even race to catch up with the past and push forward to a new future. There’s an intensity with finances that may hit next week, so prepare. What you’ve felt but haven’t been able to touch becomes more readily available. If you gamble or play the stock market, there’s a surge that goes up and down, and up … hold onto your hopes and keep your feet on the ground. By Wednesday, you could be talking a money influx.